The top priority for heavy vehicle manufacturers in the defense industry is to protect professionals and equipment serving in rough terrain. Roxtec cable seals provide reliable protection against risk factors that are present at all times in military and harsh environments. Use Roxtec transits for defense vehicles and other equipment to benefit from great protection and superior flexibility. Design for upgrades today and enjoy trouble-free upgrades tomorrow. 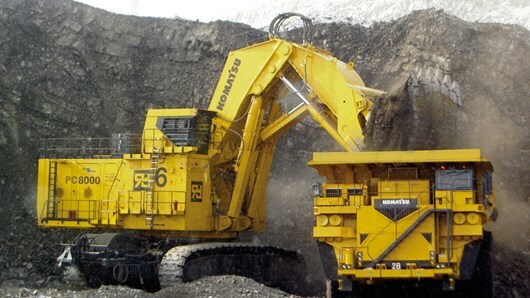 With Roxtec seals, you can keep your equipment in good condition and your fleet up-to-date. Roxtec seals are purpose-built to serve the needs of wheeled and tracked defense vehicles and personal carriers. The seals are tested to maintain performance over time, even when exposed to high temperatures and chemicals. For even higher temperature resistance, our silicone solutions have the properties for sealing off hot hydraulic pipes passing through partition walls. Should a need occur that is not yet in the design, an existing opening in the vehicle structure can be used to fit a customized and equally tested frame for cable routing. Your fleet stays potent without increased lifecycle cost, as it is easily equipped for the next mission. In many situations and in particular in vehicles, space is a luxury. Designs that are tailor-made and tested to fit each application are a necessity – and a core competence for us at Roxtec. We provide a free online tool to help you select the right seal for the application specific requirement. Roxtec sealing modules are made of Roxylon™, a highly capable rubber compound that is an effective heat insulator and a great vibration damper. Our cable seals pass tests both internally in our own test labs and at independent institutes to ensure performance over time. Roxtec has an extensive range of corrosion resistant products tested according to IEC 60068-2-52. Selected Roxtec products have been tested with salt-spray up to 30 days, which equals 720 hrs. The seals have been tested by RISE according to ISO 10140-2:2010. This means effective airborne sound insulation over a broad frequency range, keeping cab noise low in very noisy environments. The transit serves well as vehicle fire barrier, with up to 60 minutes of fire break-through performance. Tests against flammability, smoke density and toxicity in accordance with the rolling stock standard EN45545-2, -3, ensure that our seals meet the toughest requirements. Read more about certified protection and how we perform product testing. Manufacturers rely on integrators to equip their defense vehicles with the right weapon and protection systems. A design including Roxtec seals provides extensive flexibility, which is critical if you want to meet the demands throughout the supply chain. Upgrade and repair work is often realized at military operated hubs, far from the manufacturing plant. The vehicle is inspected, parts are replaced, and new technology is added. 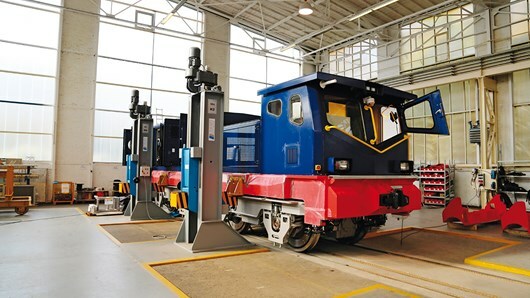 Service-friendliness and vehicle reliability are major concerns for the equipment owner who also serves as source of information for the manufacturer and future product development. By using Roxtec seals, you make it easier for everyone – from the design team to the maintenance team. Installation of Roxtec seals requires no special tools. This makes assembly as well as integration and reset work an easy task. Preinstalled seals and cables in frames as sub-assemblies reduce installation time on the assembly line at the plant. Both during assembly and later on in a vehicle’s service life, equipment will need to be changed. Roxtec customized solutions help you manage any cramped space or cable density requirement. Round or rectangular frames designed to fit pre-made openings of any size and shape help saving space and reducing weight. Cable glands, connectors and grommets are frequent in the industry, but Roxtec multi-cable transits are outstanding whenever new equipment systems need to be added. Roxtec solutions require less space and have no signal loss. Roxtec seals eliminate the need for soldering of connector pins on each side of a penetration. When connectors are required, they are easy to pass through the transit frame before fitting the modules. With vast experience built into our cable seal offering, we have solutions for your application regardless of where on the vehicle the need occurs. Modern defense vehicles extensively equipped with communication and equipment systems have much to win from using the Roxtec cable transit system. It provides spare capacity that maintains vehicle integrity also after upgrades. Vehicles using Roxtec cable seals are easy to keep updated as technology advances. Cables for new equipment can be routed without cutting new openings in the armor plate. Roxtec solutions help maintaining vehicle integrity throughout the full service life of the vehicle. The built-in expandability addresses different cable counts and cable sizes. Late design changes, upgrades and field installations are no longer an issue, as the flexible solution accommodates virtually any type of cable. Lightning strikes and other electromagnetic threats put vehicles at higher risk as advanced C4I technology is entering new vehicles and added to existing vehicles in the field. Armored vehicles need higher protection against new threats in the hostile environment they operate. An armored vehicle has protection against EMI/EMP as the metal body structure shields it from electromagnetic disturbances. However, any opening made in the armor plate puts it at risk. Cable entrances in a vehicle’s body structure are inevitable. To avoid losing shielding properties, the cable armor needs bonding to the vehicle body where it enters the armor plate. The Roxtec BG™ solution with its integrated conductive braid is an effective way of bonding the cable armor for potential equalization. Roxtec BG™ modules have extremely low impedance between the cable shield and the body structure, with high protection for conducted interferences. Tests have proven that these modules have an efficiency of 99.4% in leading off fault currents, which is best in class. Roxtec BG™ transits have been tested by several authorities regarding withstand for short circuit failures and current surges simulating lightning strikes. In addition, the braid around each module half creates a “honeycomb filter” in the frame opening which furthermore shields against field-bound disturbances up to around 100 MHz. Electronic warfare is a threat to people and equipment. In order to stay protected at all times it is imperative to use a cable transit that shields from both lower and higher frequencies generated by electromagnetic pulse weapons used in warfare. Roxtec ES solutions combining grounding of the cable jacket and shielding against high-frequency high-power electromagnetic fields are an essential part of any modern personal carrier where C4I equipment plays a crucial role in completion of the mission. At Roxtec we have shielded control rooms and test chambers to verify shielding performance of the cable transit up to 20 GHz. Both Roxtec BG™ and ES systems protect the vehicle cable opening from conducted and field-bound disturbances up to around 100 MHz, with high enough signal attenuation. However, in military warfare with presence of high-altitude electromagnetic pulse weapons, HEMP, the ES system has the capability of further protecting against field-bound disturbances up to 10 GHz. For a well-designed communication system with high quality cables and components suited to meet the strict requirements of the MIL and IEC standards, Roxtec is the cable transit solution. Solving multiple needs in the one and same frame is unique in the industry and a great advantage to defense vehicle manufacturers. Roxtec multi-cable transits protect against the effects of electromagnetic warfare and multiple environmental threats, all in a small package. Secure the fire barrier between the engine and the driver and passenger compartment with Roxtec seals. Good cable management, vibration damping and resistance to high temperatures ensure long-term reliability. Avoid cutting openings in the vehicle structure when upgrading with new equipment. There is room for additional cables in the same opening. Roxtec cable transits provide space efficient and light-weight solutions for protection of any opening in the vehicle body armor. Use the seals to prevent dust, moisture and water ingression. It is possible to route multiple cables through the same frame, also those terminated with connectors, and add new cables in the same frame. Roxtec sealing solutions ensure long-term performance of wheeled and tracked defense vehicles with gun turrets. Cables run through the vehicle body, yet the integrity stays intact. The Roxtec system is flexible enough to allow for late design changes and can handle shifting cable count and size, which makes integration of equipment systems easy. Whenever cables have to run through the cab floor, Roxtec sealing solutions provide efficient protection against dust and water. The transits also provide a gas-tight seal and offer room for multiple cables. Shelters in the field host mission critical equipment and serve as hubs for communication between the base and the troops. Roxtec cable and pipe transits can be used in any harsh area for wall, floor and roof penetrations to ensure protection against threats from electronic warfare, shock-waves, extreme temperatures and wet conditions.